Take a dollar, leave a dollar?? So, did they work in the vending machine??? lol …. any idea of the backgroud story? Background story: Once trees then cut, debarked and turned into lumber. I wonder outside in the elements? Honest Town for sure. I first thought….good luck bills for Matt. defacing money is that a crime somewher??? that is one long run on sentence, i could barely catch my breath there by the end. My guess is they where playing dollar poker. 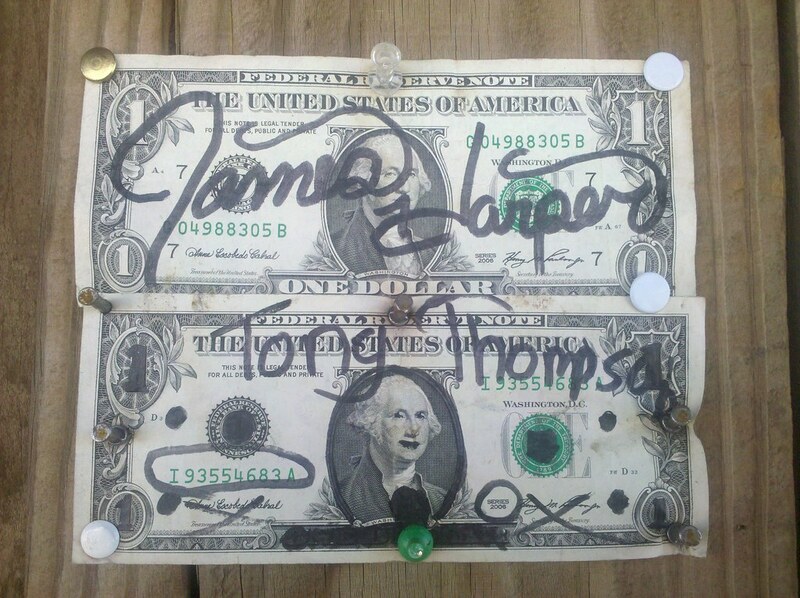 Check the number and variety of pushpins, nails and thumbtacks used to hold these two bills up. Uh, very tacky.